Join ClickAlgo's Vendor program and sell your products the smart way, we will do all the marketing and bring customers to your product using our website. Do You Have cTrader Indicators You Want to Sell? We are skilled at marketing and promoting customers products to be visible not just on our website, but in the entire world so that potential customers from all over the globe. We also post on all the major social media sites so your product gets the full exposure. On top of all that we also create and publish your product on our website, so you do not even have to write any marketing material, we will do all of this for you. What Is A Vendor Program? Our vendor program allows a person or company to sell their Indicators, trading systems or trading software through our web store and benefit from our website visitors as well as our marketing campaigns. This will get your product noticed on the web via the major search engines like Google, Bing and Yahoo. The only requirement that we ask is that we have a telephone conversation to get to know each other and start a trusting relationship. Please contact us today with an email to get started. The cost of selling your product on our website will be just 30% of the total sale of your products. We pay all international transaction fees from the customer so you will get exactly 70% of the price advertised on the website. The Price for creating and publishing your product page is free, this includes posting on cTDN, Twitter, Google+ and Facebook. We will also Search Engine Optimize (SEO) your product page and register it on Google, Bing & Yahoo for maximum exposure. Payments are made on a weekly basis every Friday for the previous week's sales regardless of the amount via Transferwise or you can send us your bank details and we will make a payment directly to your bank. You will need to tell us beforehand how you would like to be paid each week. We will create your product page and publish it for you and then add your URL to the Google search engine and also post your product's on cTDN, Facebook, Google+ & Twitter. 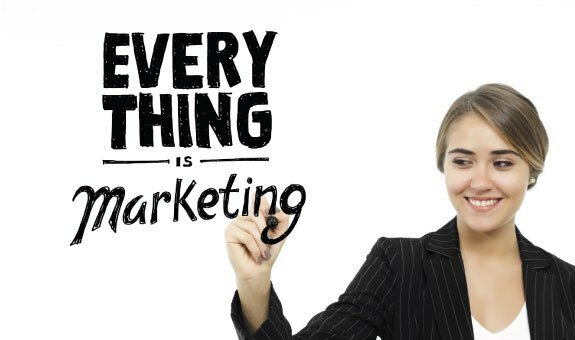 "We Do All The Marketing & Selling for You"
In a nutshell, we will do all the marketing for you to get maximum exposure on the internet and customers visiting our website. How Can You Add Your Products? We can offer to create your product page and publish it for you for a small fee, we will always show you the web page first, you can also add, edit and delete your products at any time. With your permission, we will also publish it on cTrader's cTDN website for maximum exposure to all the customers. If you do not already have a trial download of your product then we can integrate this for free. Trial downloads will increase your sales considerably as well as reduce refunds due to unhappy customers. Yes, we have a standard rolling 12-month contract to protect both parties, you can ask us to amend the contract to suit your business model. How Can You Manage My Products? You will need to contact us to add new products, but you can log into the portal and change the price of your product at any time. If you would like to see what a product looks like, just click on this link. How Will You Know When A Product Is Sold? As soon as a customer buys one of your products from our web store you will receive an automated email. How Many Products Can You Sell With Us? To prevent any single vendor saturating the web-store with their products and giving them an unfair advantage over other vendors we have put a limit on the number of products that you can sell with us, this limit currently stands at 10. So pick your best 10 products and we will sell them for you. We may lift these limits if you contact us and tell us the reason why. After you have published 10 products, if you want to publish more then we will make exceptions if the product is exceptionally good. How Can You Review Your Sales Statistics? Integrated into your personal portal you can review all the customers who have purchased your products, look at sales data and communicate with the customer direct. Will The Customers Know That You Own The Product? Yes, on the product details page you will have your company name and a link that will take them to your own personal vendor page on our website that we will help you create. How To Prevent Software Piracy? Included in the set-up fee for creating and publishing your product we will add a simple anti-piracy feature to help prevent your products from being re-sold or distributed, the easiest method is to display on the chart window who the product belongs to and where it was sold. Who Will Manage Customer Support? You will manage all the customer support for the software that is sold at our web store, the customer will be able to contact you via the website. If you want us to answer all customers queries as 1st line support then the split is 50/50, you will then not have to deal with any customers and can sit back and receive the money every week, but ClickAlgo may contact you for additional help if we cannot answer any questions the customer asks. Who Will Manage Any Refunds? We will refund the customer and either reclaim the amount from the vendor or deduct this amount from the next payment cycle. We will allow indicators only.